Please select a size. EU 36 - Low StockEU 38 - In StockEU 39 - In StockEU 41 - In Stock Please select a size. 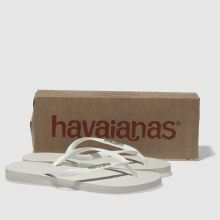 Style out your pool side chic with none other than the popular Havaianas Slim Logo Metallic flip-flop. 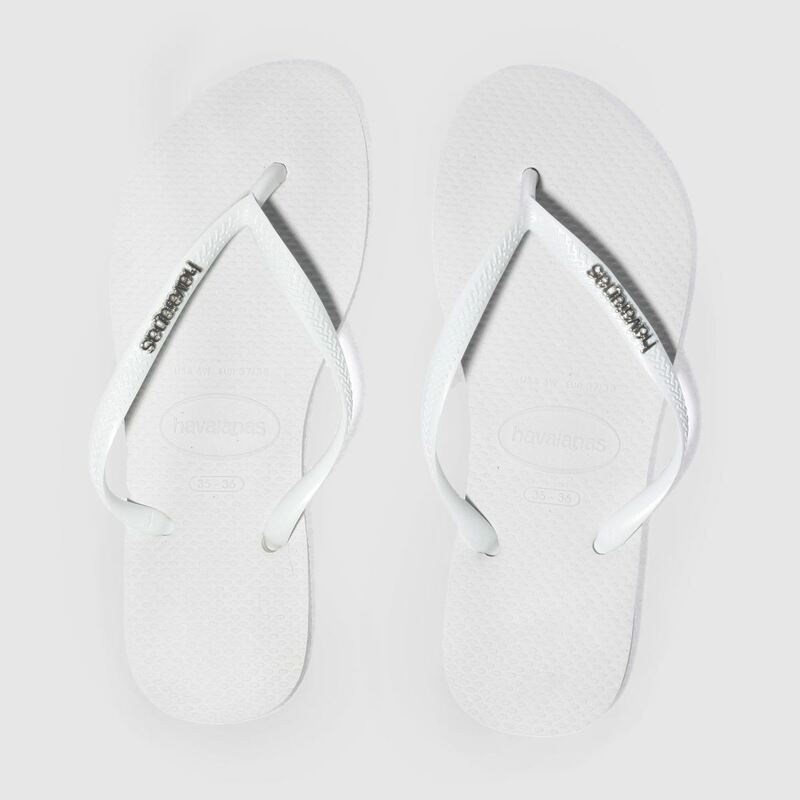 The white sandal features a key pattern toe-post strap with silver branding for added chic. 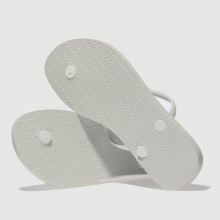 A spongy footbed ensures a comfy ride where ever you travel.